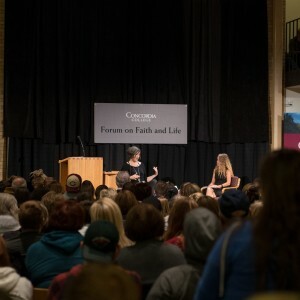 Concordia is a college of the Evangelical Lutheran Church in America and it encourages its students to explore and nurture their personal religious beliefs. 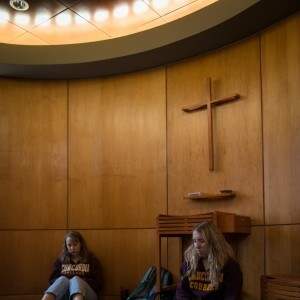 We pride ourselves on creating a social and academic environment where open discussions of spirituality, faith and interfaith are woven into the fabric of college life. 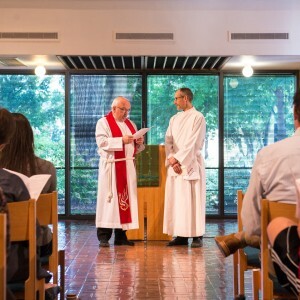 If you are not Lutheran, you are not alone – only 55 percent of Concordia students are. Students of all faiths, or with no religious beliefs, are welcome at Concordia. Forum on Faith and Life is an opportunity to engage in dialogue with people of all spiritual paths. We bring timely, relevant interfaith speakers to campus each year. The Office of Ministry is the resource for students who are looking for engaging Christian worship opportunities. There are traditional chapel services, Bible study groups, theology discussion groups, and social justice projects. There are many places of worship throughout the Fargo-Moorhead community that can fit your unique spiritual needs.